This summer has just been amazing in terms of weather and here at the Poole Windsurfing School our students have been making the most of it, as you can see from this snap taken down at our teaching location! Everyone has been learning very quickly on our beginner windsurf lessons. This is due to some good initial training on our simulator followed up with coaching from the instructors out on the water. 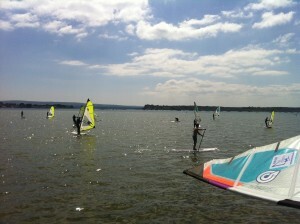 The fantastic weather has just been the icing on the cake – perfect windsurfing conditions down here at Poole Harbour! If you have ever thought about learning how to windsurf, there hasn’t been a better time than now; hot, sunny, a steady breeze, great instruction & all the latest windsurf equipment. The best way to progress after taking some initial lessons is to practice with some windsurf hire time. 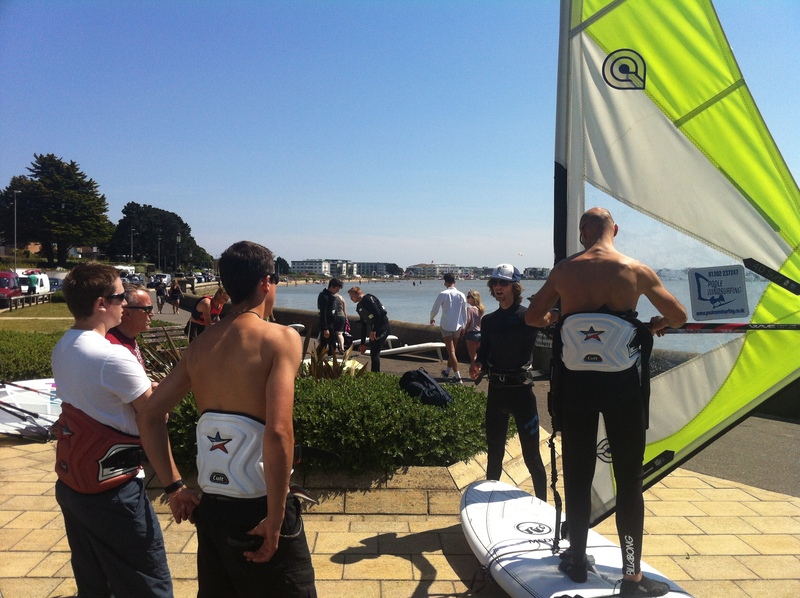 At the Poole Windsurfing School you can sign up for a great discount hirecard scheme that gives you 2 free hours out on the water when you buy a 10 hour hirecard! 10 hours is about the time we feel it takes before someone is ready to learn the next stages of windsurfing. 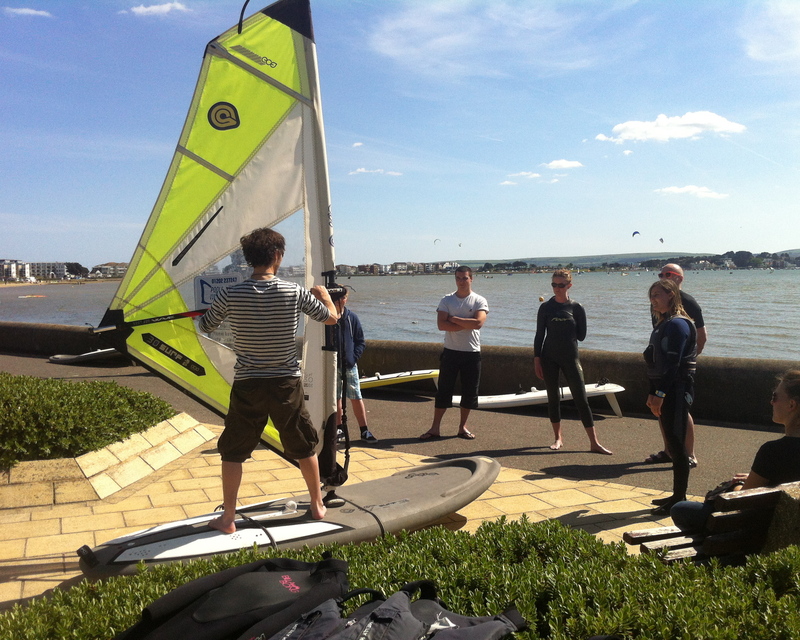 Our beginner students have also been progressing on to intermediate windsurfing skills such as beach starting & learning how to use the harness so they can cope with stronger winds and move on to using bigger, more powerful sails. With the latest windsurf equipment and regular lessons you can really progress fast now a days with your windsurfing. Many of our students start the summer as complete beginners yet are very proficient intermediates by the autumn. Why not come and enjoy the sun and learn a great new sport!